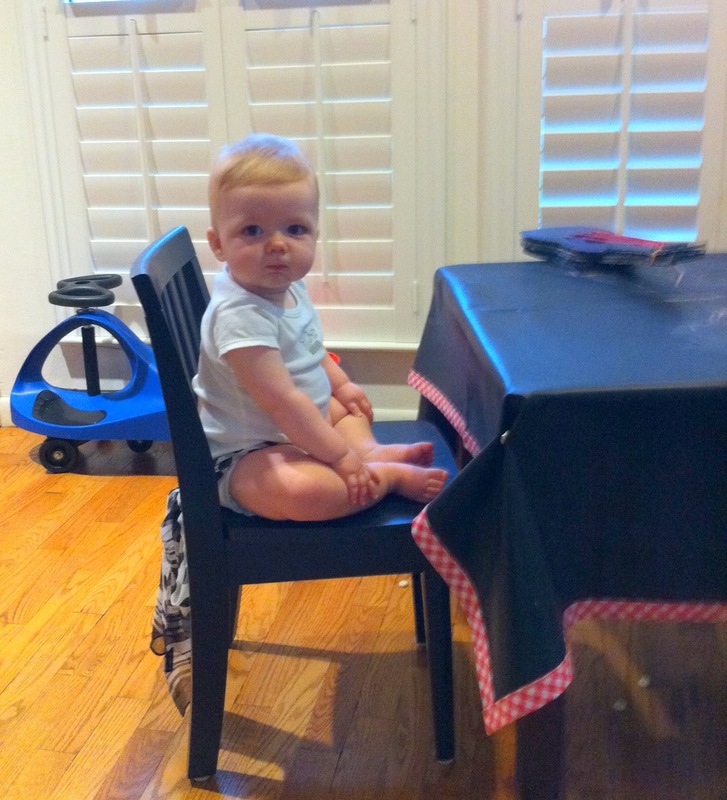 James is 10 months now but he thinks he is about 18 months. He wants to be doing whatever other people are doing. Eating solid foods, clapping, dancing and playing with swords, apparently. 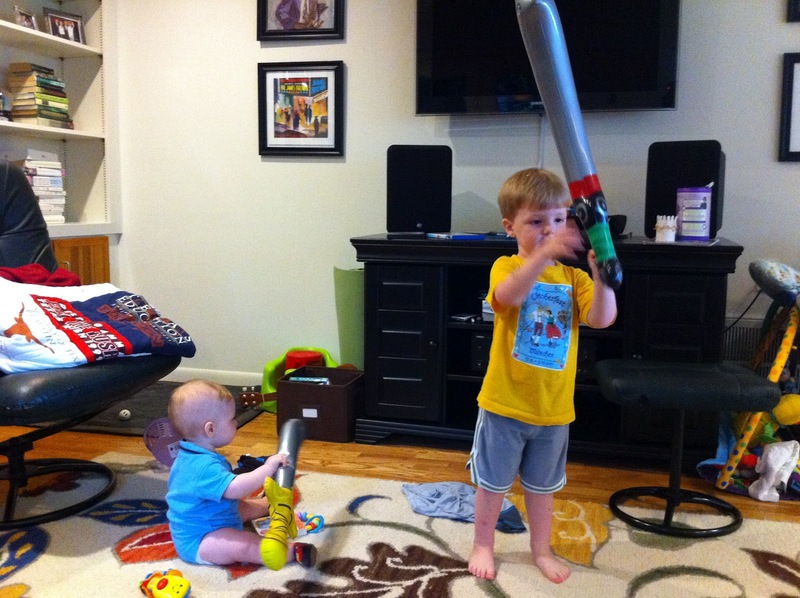 We got these blow up swords from a birthday party (I love our neighbor for giving me two) and James and Zach play “swording” which basically means Zach swings his sword around – he is not allowed to hit James, while James chews on his sword. Zach usually tires of it quickly and tries to sword with me or Norman. 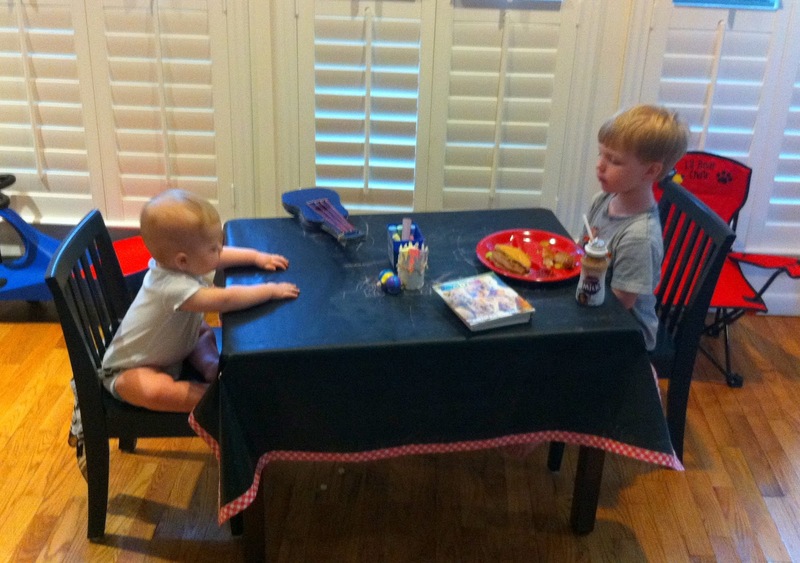 I also tried tying James in to the chair at Zach’s table to see if he would eat better in there. He is not a bad eater, but gets distracted easily. He is held in there by a sassy polka dot scarf I had lying around which is hidden under his belly. I had to sit right next to him as he insists on throwing his big, chubby body side to side and forward. He thought he was a big boy like his brother. And did eat a bit quicker. But it was not worth me sitting on the floor next to him.